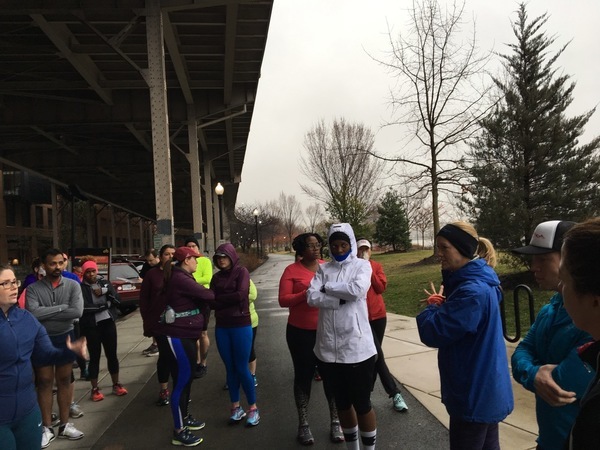 Another chilly and rainy Sunday long run with the Potomac River Running training group. This week was a steady one for me. It was one where I got all my workouts in and felt pretty good during my runs. The miles came easy, and while there were fewer miles since it was a recovery week, I was reminded that every day counts and every mile matters. Sometimes it’s easy during training to feel like I need to push myself every mile and every workout needs to be at 100 percent. Often I get a no-days-off mentality where I need to train hard to do well. After years of running, I know that’s not the case for me. My rest days can be as important as my running days. This week reiterated that every workout can forward my progress and every rest day is meaningful. A mentality that each workout is a demonstration of progress can be rewarding and help get me out the door to run. It helps me savor the good runs, and helps me bounce back from the bad runs. Monday: I did 45 easy minutes on the stationary bike to ride out some soreness my tired legs were feeling after my 10-mile run on Sunday with the Potomac River Running group. It was a no-brainer — I woke up, strolled to the gym and knocked out the time while catching up on news. Easy — even by Monday standards. Even though it was common sense to do a lower-key workout, it was progress to take an easier, lower-impact route to help with recovery and amp me up for the week ahead. Tuesday: OK this is where things got tougher. Tuesday was my track workout and, as you’ll recall, the start of a warm stretch in the D.C. area. I woke up and wanted to run the workout (mile repeats) outside, but was flummoxed over what to wear — it wasn’t warm enough for shorts, but could be once I got started. I belabored my clothing options (as I’m often known to do), before settling and heading out the door. I was a tad warm, but I nailed five mile repeats. The first two were at race pace with a two-minute rest and the remaining three were at a 10k pace with a three-minute jog in between. It was a difficult workout, but again, an attitude that every mile is movement toward my goals helped propel me forward. Oh yeah, and the sunshine didn’t hurt. Mile repeats day! 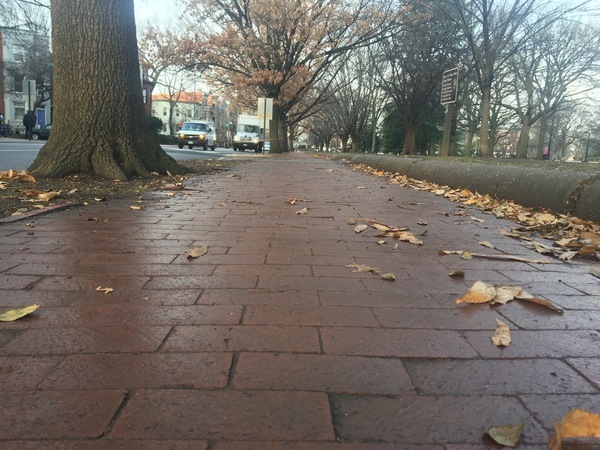 I knocked out a few of the miles in Lincoln Park in Northeast D.C.
Wednesday: I ran three easy miles. They were slow, which was needed after the more strenuous track workout. Nothing too exciting to report. While three leisurely miles may not seem like much, it was advancement — these miles mattered. Thursday: I took the day off. And while it felt like I wasn’t doing anything, I recognized how important it is for my body to have the day off. My legs need to rest and I had other things that deserved time and attention. I focused on stretching and walking my dog. These activities were not only rewarding physically, but also mentally. Every day matters — even the ones you take off from exercise. Friday: It was another round of easy miles. I did four on the treadmill, and while my legs were still heavy and tired, I reminded myself about the importance of following the plan and keeping my miles slow and steady. There was nothing to be gained from going out and killing the miles; even slower miles count and keep my body ready for longer weekend runs ahead. Saturday: It was another day off, and with errands and projects, I was bustling about through the afternoon. Still, a mindful dinner and relaxing evening helped me appreciate the time off from running. Sunday: I met up with my Potomac River Running training group and saw the value of rest, hard work and building from the previous day. I ran 12 miles; seven of which were with the group, and the remaining by myself. I felt great — which I credit to a balance of knowing when to push and when to rest. 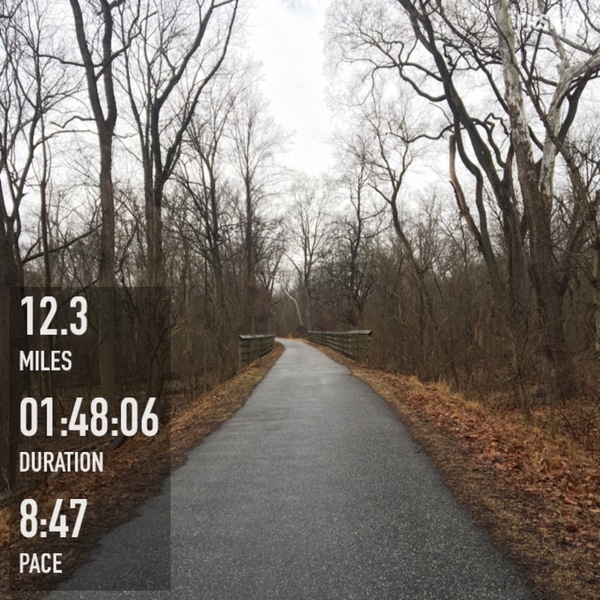 I’m running the Rock ’n’ Roll half marathon in D.C. in two weeks and I wanted to add one some extra mileage to help prepare for that, but I know these miles will help me finish that race, and help me work toward Cherry Blossom 10-miler goals, too. These miles, and all the ones preceding them this week, mattered. So if I ever feel like workouts are pointless or I’m not in the mood to do them, I remember that I will feel better with each passing day of hard work. I know that not every week will be easy, but I hope these weeks of challenges and time spent pushing myself will lead to meeting goals and rewards beyond running. Are you training for the Cherry Blossom Ten Miler? Share your journey and see others on the Cherry Blossom Ten Miler's Link Up page.